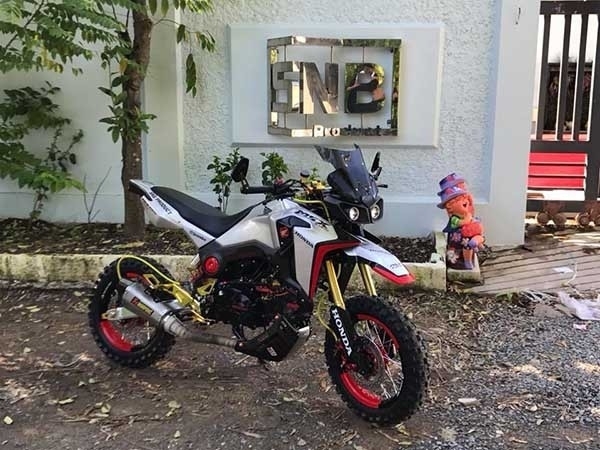 Enduro / Off Road / Adventure Bike type of plastic fairing kit for your Honda MSX125SF (AKA Honda Grom 2016 and up). This kit contains the plastic fairing parts (including the headlights & windshield) as seen in the photos. The knobby tires and the exhaust are not part of the kit.